Canadian blogger writing about beauty, baking and DIYs. My monthly favourites are now up on my YouTube Channel! Swing by and SUBSCRIBE while you're there! Hey y'all, long time no see. I've been off in thesis writing land but I am determined to get back on top of things, specifically for the holiday season! Zoe Sugg aka Zoella does it again with another beautiful beauty collection. This one super summer appropriate but I think the scent works all year round! The packaging as always is a beautiful, the pastels and metallic accents are perfect and bring back memories of a retro ice cream stand. 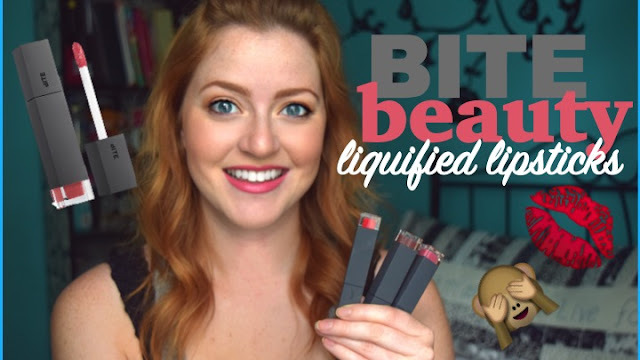 For those of you that have been around my channel for awhile, know that BITE beauty is my favourite brand for lip products. I have traveled to their Lip Lab in Toronto and made custom shades, and have gotten my hands on every one of their launches. Them being a Canadian made brand is one of the many reasons why I love them so much. 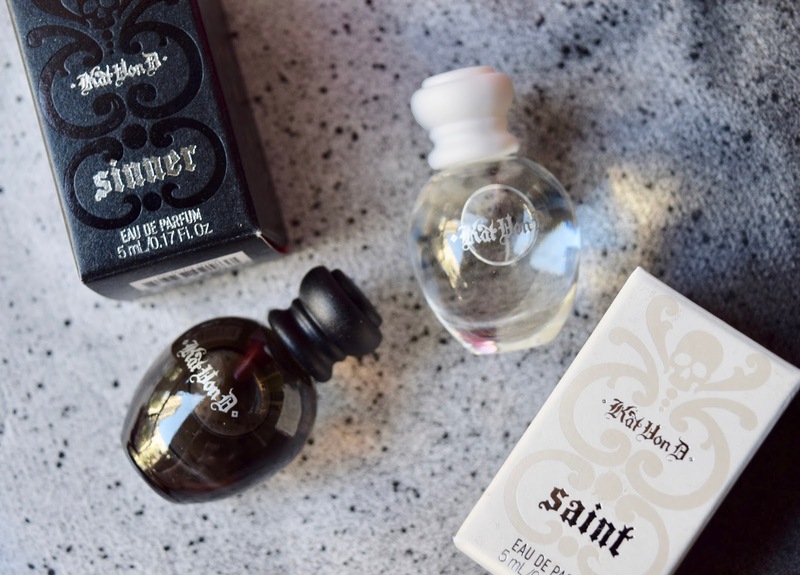 I've paired up with Influenster.com to try out the new Kat Von D fragrances she recently released. They come in a pair and are aptly named Saint and Sinner. I was totally not surprised when I saw the packaging and names of these fragrances and thought they were completely on brand for Kat. No surprise here that Saint is my preferred scent of the two. Lighter, fresher and sweeter are all up my alley. 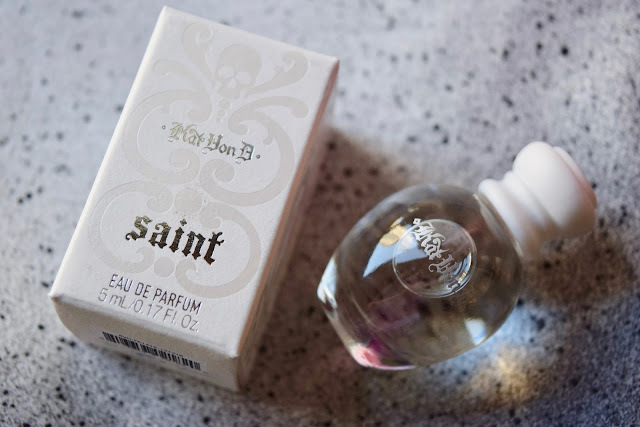 It is described on Sephora's website as a floral scent with notes of vanilla, jasmine and musk. Sinner is, as expected, the opposite of Saint. 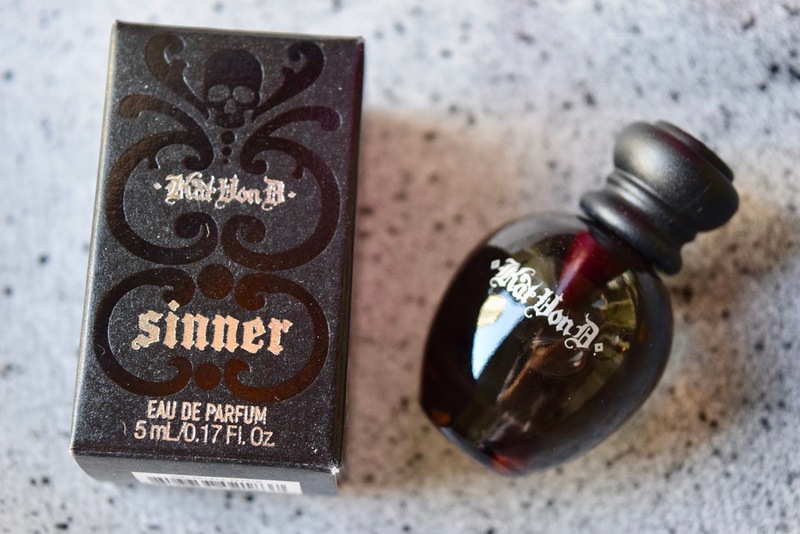 Described as warm and spicy on Sephora, with notes of patchouli, wood and cinnamon. Also a lovely scent but not something I would reach for every day, I would wear it on certain occasions though! I love the idea that there are scents on either end of a spectrum and how they could play with your mood. You can also mix the two and come up with your own unique scent! Thanks Influenster for the complimentary samples! 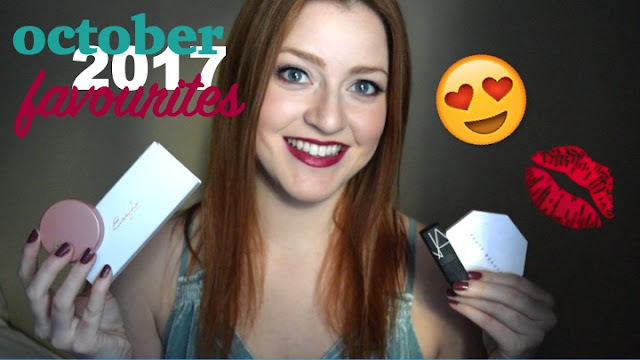 Sign up for Influenster here to get your own FREE products to try out and review! ** These products were sent to me for consideration complementary from Influenster. My first makeup tutorial is up on my YouTube Channel ! NUDESTIX is a Canadian brand I regret to say I haven't tried until now. When I heard about their #BabeBoss Faves Box - and how great of a deal it was - I couldn't pass it up. The set comes with 6 shades in 4 different formulas and there isn't a shade I don't like. Each shade is one of the 5 influencer's favourite shades and the 6th was selected to round out the collection. I think this box contains an amazing shade range. To hear my full thoughts, check out my video below. While you're there subscribe to my channel! You can buy your own on Sephora or on Nudestix's Website. I am a 23 year old with a passion for baking, beauty, fashion and DIYs. I come from a small town just north of Toronto and love getting out there to explore what the world has to offer. With a tight budget, this blog is a glimpse in to my every day life.